Happy 1st of June everyone, so another month has gone by and we are almost half way through 2016. Blake and I have quite a few favorites so I'll get straight into it. I brought two new tops this month ready for the warmer weather and they will be ideal for when we go away later in the year. They are both from Peacocks and should be still available. The first one is this Lace Up Paisley Print Top which was £14. 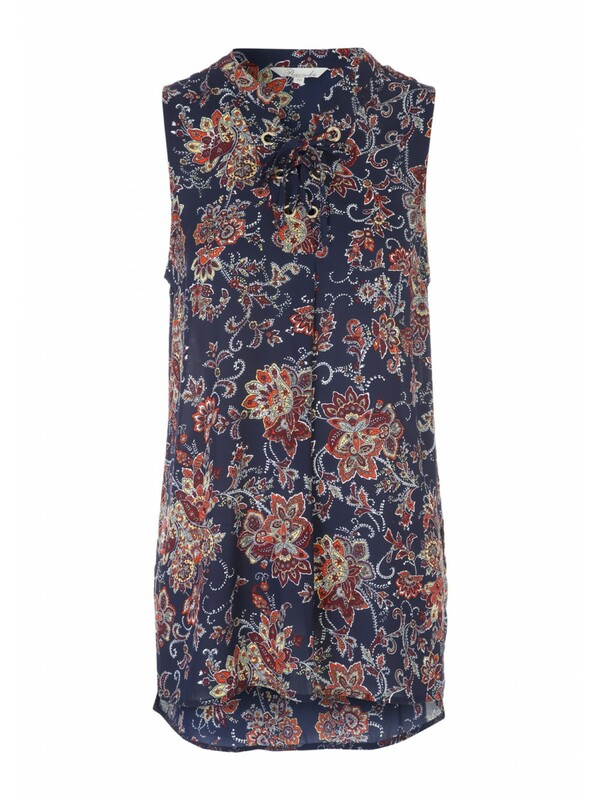 It has a dipped hem at the back and a criss cross fastening at the front I love the paisley print and have a maxi dress in the same print which I am yet to wear. 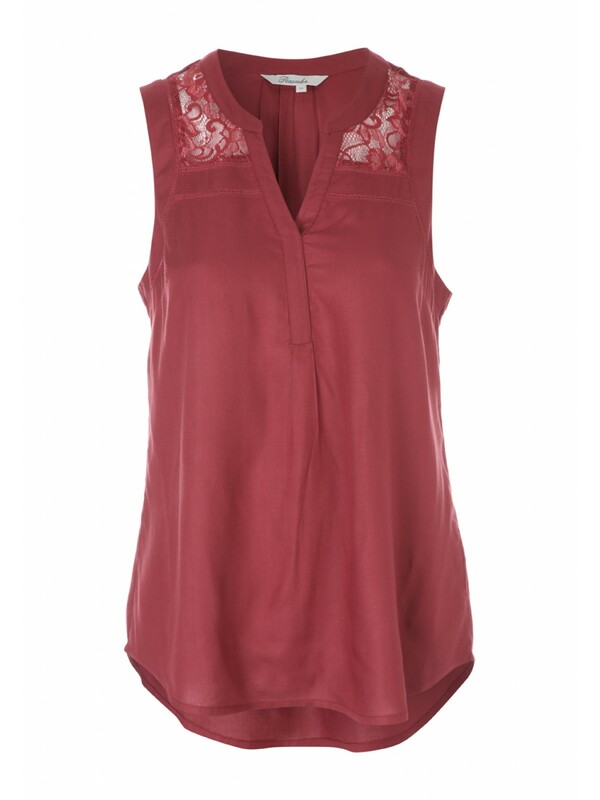 The other top is a Red Lace Insert Vest it features a v neck and has a dipped hem at the back and was £12. I have been using the Mitchum solid deodorants since the end of 2015 and I don't know why I haven't included it in a favorites post til now. I find that spray deodorants don't really work that well for me as I have to keep topping up throughout the day and with this one I don't have to. They are pricey but I've never brought it full price which is usually £4.99 I look out for them to be on offer and get them in bulk at £2 each. I've been using both the Olbas inhaler and Olbas Oil to help with that. The oil is great on my pillow at night. 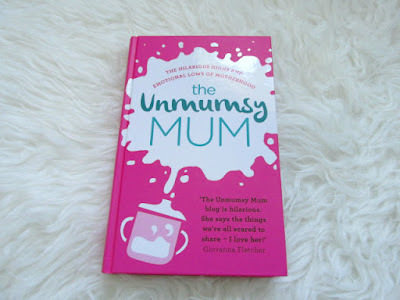 During May I got around to reading the Unmumsy Mum and loved it I will certainly be keeping it on my bookshelf and dip into it from time to time. Also not photographed I have been loving watching Once Upon A Time on Netflix when I have some spare time. 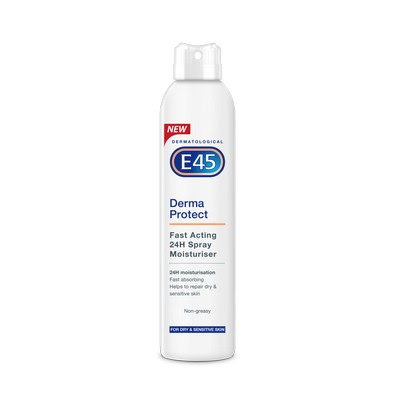 I was sent the new E45 Derma Protect spray moisturiser from Bzzagent and have been loving it. I'm pretty lazy when it comes to using a body lotion as I find it too time consuming but I love spray lotions as I find it more quicker and easier to apply. I tend to buy these type of lotions when on offer as they can be pricey I've seen this one sold in my local superdrug for £5.99. Onto Blake's favorites he's been loving his books a lot this month and one his favorites is the Usborne Noisy Farm. I picked it up from a charity shop and Blake has loved hearing all the animal noises. He has also loved Terrific trains which I also picked up from a charity shop. Blake's Granny picked up this cute Noahs Ark story The Great Flood which he has loved me reading to him. Another charity shop find is this Leapfrog discovery house, he has the farm one but this month has been playing with this one non stop. He has also loved playing with his Fisherprice piggy bank and is now trying to put the coins through the slot. 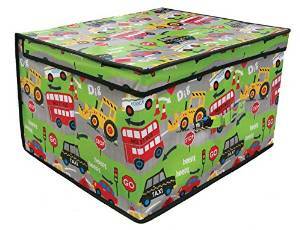 Last of all I've included his new storage boxes as we love them. They are a great size and currently store some of Blake's Happyland toys in. They are also great quality and go perfectly with his room. What are your favorites for May? I too went clothes shopping in May - I bought a lovely fleece at the right price! I have heard a lot about the Unmumsy Mum. I can't believe May has already ended. Seems like you had a good month! I love Mitchem - such a great deodorant for the warm weather. The tops you have picked are great I'm always in my local Peacocks. Love the tops! Mitchum is great too, really useful in the Summer heat. I really need to buy the Unmumsy Mum's book ... I've been meaning to for ages but haven't got around to it! I like the sound of the spray moisturiser, I'm too impatient to wait for moisturiser to dry so this sounds like a good product for me. 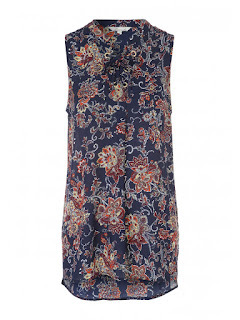 I love the lace up paisley print top and olbas oil is a firm favourite in my household. My favourite is a new lightweight and sleeveless jacket with a waterfall front. Perfect for the changeable weather! I've been using Art intense recovery spray and love it. We used the Olbas oil a lot in our house. So useful. Those 2 tops are great - you wouldn't think they were from a budget store such as Peacocks - I like that they are fairly long in the body too. Olbas Oil is the business for getting rid of those summer sniffles - Feel better soon! Some really lovely books there. I need to get my hands on a copy of the unmumsy mum. I've been meaning to pick up the Unmumsy Mum book for weeks now. Must get it during the week, dying to read it. Oh I like the second top! I never would have thought of peacocks for me! Peacocks do some lovely things. Love your picks!